We believe that living in a healthy environment should be for everyone, not just those who can financially afford it. The purpose of the workbook and website, are to give home and building owners the knowledge and know-how to build a lightweight greenroof system on their own home. The workbook, companion youtube videos guides, and website were developed to demonstrate that green building strategies can be affordable and benefit the average homeowner. 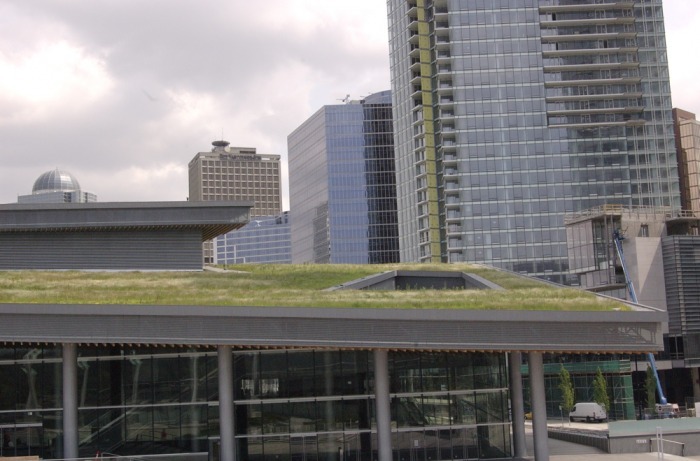 A greenroof is a secondary roof structure that is partially or completely covered by vegetation and growing medium. You can think of this as a carpet of plants for your roof. This carpet is installed over a waterproof membrane (your existing roof). Our materials and workbooks explain in real language the how's and why's of this new, low-tech and affordable technology. 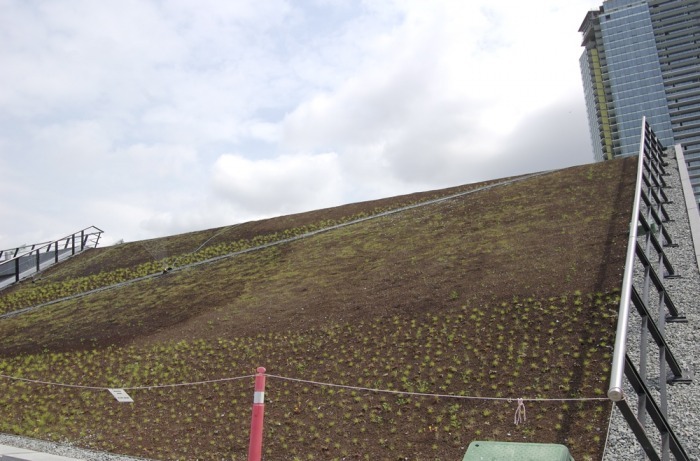 WHAT IS THE DIFFERENCE BETWEEN INTENSIVE AND EXTENSIVE GREENROOFS? CAN EVERYONE HAVE A GREENROOF? Our workbook goes through the entire process of inspecting your roof, design philosophies, and detailed building explanations. We do not recommend building anything without consulting a licensed engineer first to find out your load capacity for your existing roof. We have created a methodical technique for a specific process which we call the G-I-Y-ROOF, an easy to install lightweight system. This is not a fix for a very old roof/or membrane, you will need a new roof before you install a greenroof. HOW MUCH DOES OUR G-I-Y-ROOF COST? You can put 500 square feet of greenroof on a typical brownstone for about $2,500 in materials, and all the installation you can do yourself! It's a great affordable investment you can make to your home. Our Green-It-Yourself Guidebook Series: Workbook 1- Create Your Own Greenroof will be available with a series of fun videos that together guide you step-by-step through the process of building your own G-I-Y-ROOF. Both the Workshops and Green-It-Yourself Workbook:G-I-Y-ROOF have enough detailed information to get the job done. So no matter which way works best for you and fits into your budget, you can Green-It-Yourself! 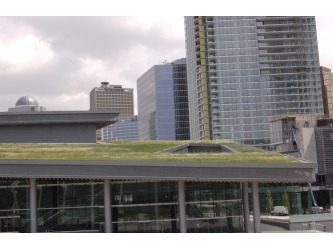 WHY ARE GREENROOFS SO GOOD? HOW MANY ROOFS ARE THERE IN NYC? There are over 950,000 buildings in New York City, just imagine if all of them had a greenroof! Yes, installing a greenroof is something you can do to contribute directly to Mayor Bloomberg’s PlaNYC and the public’s mission to make New York City a place for sustainable growth for years to come. 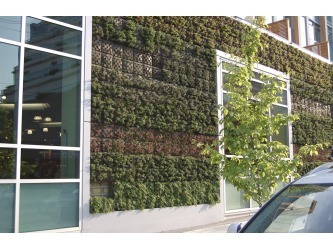 ARE THE HIGH TECH GREEN APPLICATIONS BETTER THAN OUR GIY VERSION? Greenroofs have been made for thousands of years. Our process is easy to follow, and when done correctly, your greenroof will be an affordable addition to your home, which benefits not only your wallet but also the health and quality of your neighborhood’s environment. 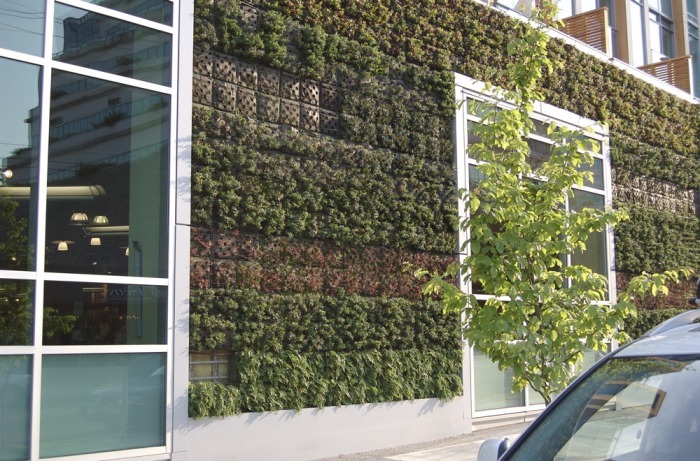 Some greenroofs can run over $25 a square foot, and living walls are as much as $200 per square foot. 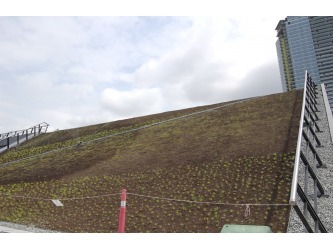 Below are some images of larger scale greenroofs and living walls in action. They are spectacular installations and are fun to look at but provide no more than an added visual appeal if you compare the benefits they provide to a less expensive version.